Home Tags Posts tagged with "safe"
No matter what kind of terrain your farm has, your animals need to be contained in a safe area. Flat terrain provides an ideal landscape for fencing. From the early stages of planning how much fence you need to the final stages of tensioning, a smooth plain makes fence easier to install and maintain. At Red Brand, we know every farm is unique, and not every farm has flat terrain. As a result, we developed the Square Deal® knot, our best knot for uneven terrain. From level ground to rolling hills, Red Brand provides fence that guarantees safety and security for your animals. Until the late 1800’s, most fences were constructed from stone and wood. These fences required massive effort to build along with constant attention as weather or livestock caused damage. This led Peter Sommer to create a fence-weaving machine that allowed farmers to protect their land with lightweight, weather resilient, American made steel. Today’s farmers do not have to decide between stone or wood: today’s decision rests between low carbon or high tensile fence. With their compact size and mischievous habits, sheep and goats are difficult animals to keep safe. Red Brand offers Sheep & Goat Fence, designed for the specific needs of these animals. 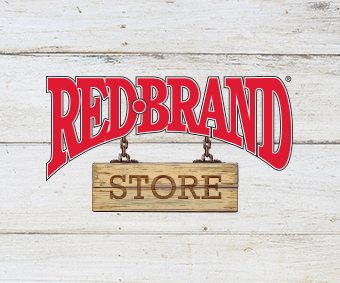 If you’re trying to contain a flock of sheep, goats or both, Red Brand has the solution you need.